I have debated sharing some version of this so many times. I have had this conversation with myself in my head over and over. I have worried my feelings might be misconstrued, but I just keep getting hit with this same idea. I couldn't let it go any longer. You see, I think it is 100% A-okay to be a boss lady and hustle and set goals and achieve great things in your business. These things can be huge blessings to your family and to others, and that is a great thing! We have so many great products, resources, organizations, and ministries thanks to women who are driven to achieve big goals outside the home. We need these ladies! However, I think it is also okay if your ambition lies in other places, like working part-time to provide income for your family but also trying to balance time with your kids. It is okay if your goal is to stay home and educate your children while creating a warm and inviting space for your family and others. It is okay if you just want to stay home and soak up every single moment with your little people because you can, and you know how fleeting your time is with them. In a world full of "boss lady" t-shirts and "hustle hard" mugs, I am here to tell you: it is okay to choose a different route. This is such a hard topic because the last thing I want is for it to seem like I disapprove of the choice to be a "mom boss". The reason I bring it up at all is because for a while I was feeling pretty down about the whole thing. I felt like maybe I was missing out on something because I didn't have that. It is easy to see the glamorous side of things when you think about how good it feels to accomplish goals. Validation is a great feeling. It is empowering to make that sale, finish that project, crush that goal, and cash the check. I totally get it. But I also know just how much hard work that all takes, and right now I am flat-out not willing to put the time and energy to get there. 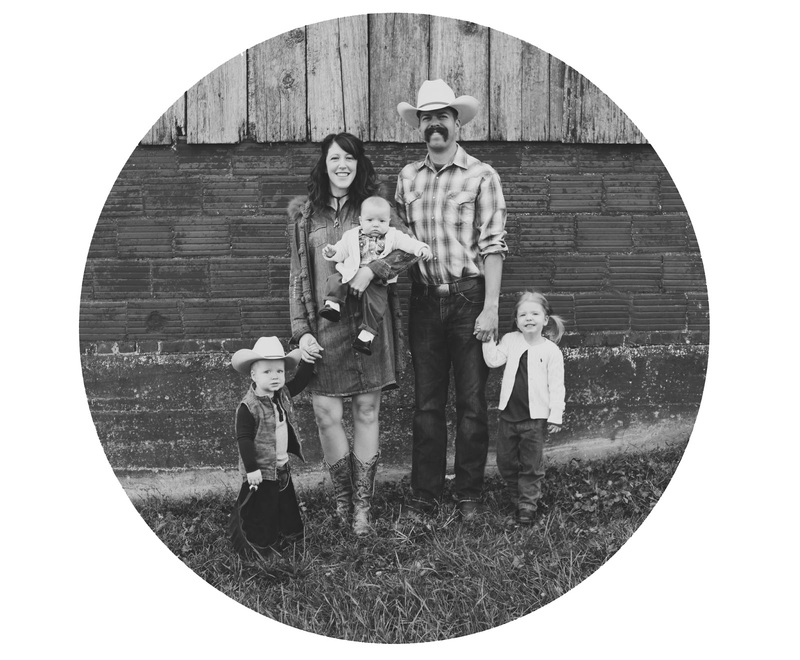 I tried to build a small business after Henry was born, and it was going pretty well. I wrote a bit about it here, but what it boils down to is that a business takes a lot of time that I am not willing to spend away from my guys. Sure, I get a little crabby occasionally and need a little space some days, but most often I just want to be home with my people redecorating rooms and planning projects for our home and family. I love the idea of owning a business, designing a website, publishing material, learning, marketing...you get the idea. But what I love more is spending weekends going for donuts and groceries or maybe a trip to the zoo. I love the idea of being a successful business person, but I know myself. I know I am not at a point in my life where I am ready to commit the time and energy it takes to do it...and I am okay with that. For now I will expel that energy on being the one to make the doctor's appointments, sports pickups, and all the other things. I want to be that person, and I am realizing that there is absolutely nothing wrong with that, despite the rhetoric I hear daily from much of the outside world. Once I realized it wasn't because I couldn't do it but because I was making the choice not to, everything became so much easier. It isn't because I am incapable. It is because I am unwilling at this stage in my life. It isn't that I can't ever do those things, but I am choosing not to do them now. I see how quickly these two years with Henry have gone by, and I can't even wrap my mind around it. I don't want to miss any more moments trying to get ahead in a business venture. Those opportunities and ideas, though different, will be there when my children aren't so close. I may get run down, stretched thin, and all touched out some days, but I love my current position here at home. I admire the ladies who are able to run businesses, juggle family and work, ask for help, and make big things happen. I can't imagine trying to balance all those things! I also realize that having the opportunity to stay home is an enormous blessing. I know not everyone is able to do so, and that is not lost on me. I am beyond grateful to be able to be right here for each and every moment so far. Besides...I'm still the mom and the boss at my job. It works for me. According to the American College of Obstetricians and Gynecologists, miscarriage happens in 10% of all known pregnancies. Chances are you know someone who has experienced a miscarriage. The chances are actually pretty high that you know someone who has experienced more than one. I have been in that 10%...twice. I briefly mentioned my first loss here and here, but I realized I had never shared my full experience of that loss. I know mine is only one story among thousands, but I feel compelled to share. It might just be one story that helps someone get through something you can never prepare yourself for. After being terrified of pregnancy, birth, and even motherhood for most of my adult life, we decided we were as ready as we could get. We had decided to start trying to conceive, but we weren't super serious about it. We weren't even 100% sure of dates when it was time to leave town for Christmas that year. However, I was late enough that I was pretty sure I knew what a test would say. I wasn't prepared to keep that kind of news from my family, but I also wasn't ready to tell them that early, so I just waited to take a test until we got home. I was a bit clueless and nervous, so I texted my doctor friend (so thankful for you Brit!) and got a pep talk as we got closer to home. I ran inside to take the test and thought I would have time to watch for the results while my husband brought in our luggage. Instead, the digital test flashed four lines and then "pregnant" before I was able to pull up my leggings. Speechless, I walked into the entryway and waited among the luggage and Christmas loot my husband was unpacking for him to come back inside. I didn't even say anything when he did. I am not sure what my face was saying, but I just held up the test to show him. We hugged and laughed, but it didn't sink in right way. We unpacked and put away our things. He went to his vinyl record haven in the basement to organize the new goodies he got for Christmas, and I stayed upstairs...and cried. I wasn't sad, but overwhelmed would be an understatement. I sat there on our bed, and the weight of bringing a child into this world flooded over me. I prayed for him or her. I prayed for guidance so I might have some small clue of what to do as we started this journey. I prayed that I might lead this baby to love Jesus and be a shining light in an often dark and scary world. And I cried a little more. After my initial panic, we started allowing it to sink in and become a part of things. We quickly started to talk about what things would be like with a baby. Everything shifts to include this little person you have never met, and you are suddenly building you life and all your future plans around them. Though you can never truly imagine what it is like (especially when it is your first), it was easy for us to pretend and talk and dream about our growing family. I called the doctor and eagerly scheduled my first appointment, and we went about life with a bit more excitement...until one Sunday just a week or so later when I noticed the faintest traces of blood. I told myself it was fine. I googled things online. I texted Brittney, and I tried not to freak out. Then I started feeling slight cramps. I tried to convince myself it was in my head. I tried to make myself believe that it was just normal discomfort, but I think in my heart I knew all along that something wasn't right. The next morning I called and left a message with my OB and headed to work. It wasn't long before the pain got worse, the bleeding was getting heavier, and I knew the answer to any questions I might have had previously. I was frustrated that I hadn't heard back from the OB's nurse. I was panicked because I didn't know what to do, and I didn't want to text my husband at work to ruin his day. When I really felt like I knew for certain I called him and headed home to wait for him to make the commute home. The cramps were more intense than any I had ever experienced in my almost 29 years. I tried laying on the couch, but the pain kept me in the restroom. I don't even know how long it all lasted, but it was intense. I couldn't stop crying thinking about the reality of what was happening. I was still mad at the doctor's office, and I was broken thinking about my poor husband. I was angry that I didn't know why it was happening...and then it was over. There was nothing left to do but lay on the couch and wait for him to get home. I will never-ever-for-as-long-as-I-live forget him walking through the front door in silence and joining me on the couch. It was so heavy and foreign to him, and we both just cried. There wasn't much else to do. Crying is mostly what I did for the next few days. I stayed home from work, but most of it is a blur, except for me crying uncontrollably. I had lab work done to confirm what I already knew and took myself out to eat where I distinctly remember watching a pregnant waitress walk by me what seemed like 473 times. I remember thinking bitter thoughts over my fancy macaroni and cheese, and then I headed home to cry some more. I would tell myself I was going to be okay and get it together, but the tears still came. I don't remember how long this went on...three? four days maybe? Then one day I woke up, and I really was okay. Don't get me wrong. I wasn't "over it", but I knew I would be okay. The world had, in fact, not ended while I grieved, and I knew I had to pick myself up. I did not and will not ever forget that experience. It has had a deep impact on who I am today, how I experienced my pregnancy with Henry after that, and how I have been able to connect with other women going through similar experiences. When I was able to talk to a friend who had experienced her own loss a few years before, I felt so much better. There is a lot to be said for solidarity, community, and sisterhood. It is a unique experience that I couldn't connect over with my mom, husband, or single friends, and that is why I share this here today. I don't know if it will help anyone or if anyone will even read it, but if you are here and have been down that road...you will be okay. While you will always remember and long for the baby you never met, the sadness will not always consume your whole world. You might be a little resentful of pregnancy announcements and baby shower invites, and you may be scared to try again. But let me tell you now, you can overcome. Try not to let anger control you. Remember it is not your pregnant friend's fault that you experienced this loss, but also give yourself some grace and time. Talk to friends, and pray to God. There is a light at the end of the tunnel. ...and oftentimes there is even a rainbow. I have been so blessed by sharing these posts about welcoming baby #2. I have had the sweetest comments, the most encouraging messages, and people sharing how they have been a comforted by others' stories. I cannot express how happy this makes me because my goal for this little blog has always been to encourage and uplift. I want to build a community of mamas to lift each other up. I want to give other mamas with different experiences than my own a platform to share their story because there is always going to be someone who can relate. I am immensely grateful to these sweet mama friends for taking the time to share their experiences. I started this blog with the purpose of building community and making connections, and I have been so blessed to meet some great people because of it. 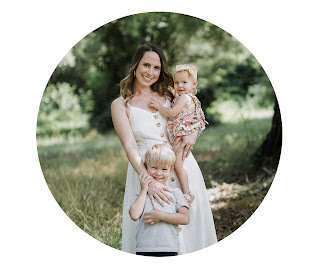 Tasha is one of the sweet mamas I have been lucky enough to connect with, and as a mama of two boys herself, I am so thankful she was willing to share her heart. She has the cutest little guys, the best hair, and an incredible drive to better herself and be the best she can be for her family. Tasha blogs over at www.bytashahinton.com. How can I ever love someone as much as I love you? 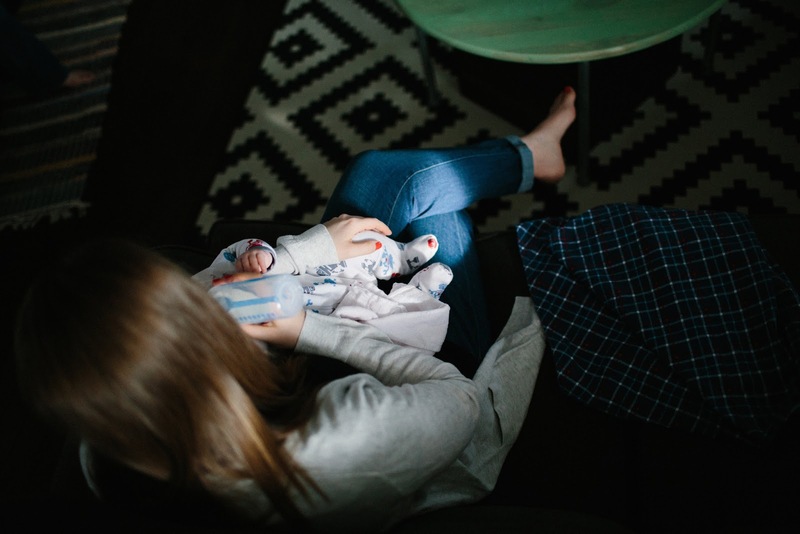 When I found out I was pregnant with my second child, I was filled with anxiety wondering if my heart was big enough to love more than one child with the same intensity. I thought- he is still a baby himself. How will I be able to still give him all of me with the demands of a new baby? Will he feel neglected? Will he think he is now somehow second place? My firstborn was only 13 months old when we found out we were expecting. I had a lot of fears about having two children under two. My oldest had to graduate to “big boy” status a lot faster than I initially anticipated. He had to move out of his crib and into a brand-new big boy room and bed by the time he was 21 months old. We had to make room for the new baby. I often thought, how does he feel? Does his little mind think he is being replaced? We did a lot to prepare my oldest for the transition. We read a lot of books about what being a big brother would entail. And I made sure to love on my baby boy as much as I could while it was still just the two of us. I involved him in the process as much as I could. As much as I wanted another baby, part of me just couldn’t shake wondering how I would manage it all. All of these feelings magically disappeared the day we became a family of four. My heart was so FULL I thought it would literally burst! I now had two perfect baby boys that were all mine. I now had TWO baby boys to give me the love only a baby could in return. Double the pleasure and double the fun! Transitioning from a mama of 1 to 2 was not always easy. It took some time to find our groove. Heck- I am still trying to find our groove some days! But I will tell you what, all the feelings I had wondering how I could love someone as much as I loved my first never crossed my mind again. My heart stretched and guess what?! So did my sons. He now has his very own little brother! The most rewarding part of this journey has been watching my oldest step into the big brother role. He loves his baby brother so much and it is the sweetest thing to watch their bond develop. I gave him a brother. A best friend for life. He has someone to show the ropes. He is now a role model and I could not be prouder of him! This is the best gift I could ever give him and now my heart cannot imagine how I could ever love anything more than I love these two. Mamas are superheros. We have more than enough of EVERYTHING to go around when it comes to our cubs. 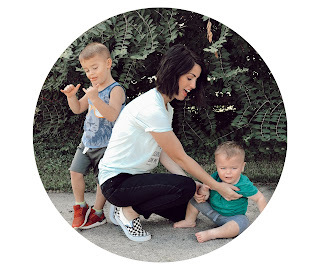 Whitney is another awesome mom of two sweet boys. The age difference between her little guys is actually the exact same as Henry and Harrison! She is a ton of fun, has the cutest hair, and is about as real as they come. We could totally hang out. She juggles being mom and hairstylist all while sharing hair and makeup tips on her blog www.thebrunettebeauty.com. Adjusting to two babies was hard. As much as I thought I was ready from having my first boy, there were still SO many unknowns. But honestly, the anxiety leading up to it was the worst part of going from a family of 3, to a family of 4. My first pregnancy was unplanned, and my second was planned. So you would think I would have felt ready! (Especially considering how much thought we put into the timing). I JUST got the hang of what I was doing with my oldest son, Milo. He wasn’t even 2 yet when I became pregnant with Mason, so he still felt like my baby! I was able to give him my undivided attention all day everyday. And I knew that was about to change, big time. He wasn’t old enough to understand what was happening, so I felt that no amount of prep for him would make a difference. I was so scared that we were shaking up his world (and mine). I suffered from post partum depression after I gave birth to Milo, it really rattled our world. So not only was I afraid to put him through that twice, but now my new son, and my husband as well. There were a lot of nights spent crying and worrying about the future. The thing that kept me going was knowing that he would never know life without his brother. I can never play make believe, or action figures, or any of those things as well as a little brother can, and I was so excited for him to have a best friend. And knowing that eventually one day, they would be inseparable, made all of the doubts and fears diminish. Who likes a baby who mostly only cries and poops?? No 2 year old that I know. So I knew their bond wouldn’t be immediate. But as I sit here writing this, they are 4 and 2 years old. They are loudly playing trains and matchbox cars in the other room and I KNOW they were meant to be together. Just as much as I was meant to be their mommy, they were meant to be brothers. Whenever I talk to my friends who are debating expanding their family from just one, I try to tell them that the BEST thing and the most loving thing they can do for their child, is to give them a sibling. And I believe that with my whole heart. No one will ever understand who they are and where they come from, better than a sibling. And some day, when my husband and I are gone, they will have each other. It’s no walk in the park, and the thought of teenage years scare the heck out of me. But the chaos of having a house full of little ones has brought me the greatest joy I’ve ever known. And I know they would say the same about having each other. 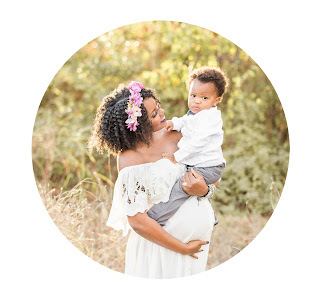 Brittany is yet another mama I met through Instagram! I never would have dreamed I would find the connections I have on that little app, but it has been such a blessing to me. I know Brittany has a big heart and loves her babies fiercely, so when she volunteered to share, I knew she had to be a part of this project. 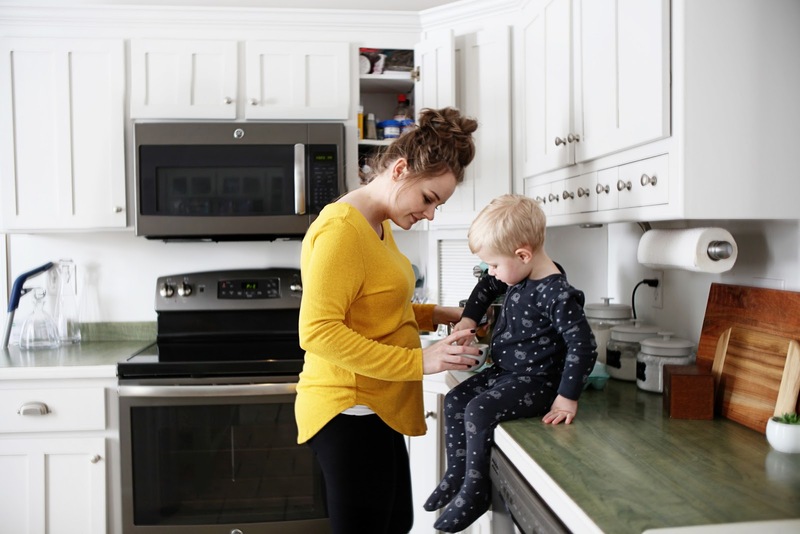 Brittany handles working, being mama, and creating an absolutely beautiful home with a seemingly effortless grace, and we are lucky to hear her story. It wasn't long ago that I remember having real anxieties and doubts about becoming a mother of two. Fast forward to the present, and I literally cannot imagine life without my second baby...she truly completes our family. Motherhood is such an emotional roller coaster. No one can prepare you for this ride. When we found out we were pregnant with my daughter, Josie Rae, her big brother Charlie was only fifteen months old. We were so excited to be adding another baby to our family. It wasn't until towards the end of my pregnancy that I started to question how I could possibly love another baby as much as I loved my sweet Charlie. Everyone told me "you just will", but I knew that my love for my first born was fierce. I just couldn't imagine that love with another child. Not only that, but I also started having major apprehensions about how Charlie would adjust to a sibling. He soon would have to share his mama, which made me want to cry thinking about it. I soaked up every second I could with him as an only child, and before I knew it thirty-six weeks of pregnancy whirled by. I remember our drive into the hospital for delivery. The only thing on my mind was Charlie. Not labor, epidurals, or the anticipation of seeing that sweet newborn's face for the first time, but instead, I pictured something happening to me during the birthing process...Charlie not having me. Why my mind went there is beyond me, but it did, and it wrecked me. Josie's labor was much quicker than Charlie's and before I knew it, I was holding the sweetest little 6 lb 14 oz angel in my arms. Seconds after birth, she was in my arms, and from that moment forward it was pure love. I think God just takes over and eases all fear and apprehension in the most amazing way. I never again thought about Charlie as being the "poor baby" having to share his mama, but instead, I knew he was a blessed big brother to the sweetest little sister. I never again questioned my love for her because there was immediately room in my heart for her. Watching Charlie become a big brother was one of the greatest gifts of this motherhood journey. The even greater gift is seeing the bond that my babies now have as toddlers. They are thicker than thieves, and their love for one another is second to none. Babies change you, it's true, but it is totally natural to have your own fears and anxieties. While my two are still toddlers, I can only imagine the host of new fears and anxieties that I will develop over the years. At the end of the day, we all want what is best for our sweet babies. If you are expecting your second child, just know that you are not alone in your concerns...we all experience emotions during pregnancies, but also know that you are giving your first born the precious gift of a sibling. It's truly a gift from heaven, and just when you think you can't possibly love someone as much as your first baby, God opens your heart to baby number two. I don't know about you, but reading all of these sweet stories has been good for my soul. I know things will be fine. I knew it all along, but it is so much easier to see that when you see the sweet sibling relationships and hear the words of comfort from mamas who have been there. Thank you to Whitney C., Adriane, Tasha, Whitney B., and Brittany for sharing your stories. If you missed my last post, I opened up about some of my biggest fears and concerns about welcoming a second baby into our family. As promised, I am coming at you today with some words of wisdom and encouragement from a couple of really great moms. They come from different states, different backgrounds, and different experiences, but both are great mothers who could teach us all a thing or two. I hope you might share with anyone you know who may be experiencing similar thoughts and big feelings about adding more babies to the mix. You can follow along with Whitney's precious family on her Instagram account. That mom guilt doubled as soon as that second pink line showed up. Against all reason, I felt like I had completely betrayed our first born. Did he not fulfill me enough? Was I honestly that greedy, to assume I deserved another baby when so many out there are unable? What kind of mom is sad about getting to have another baby? Relentless layered guilt. The thought of my baby not being the baby blew my mind. That’s not a romantic quote, but it’s my favorite and has seen me through a lot of hard days. When I can settle my heart and use some actual logic, I have a chance. For example, I don’t know anyone who seriously says about a sibling, “I really could have done without that one.” Even those families with a sibling who has kind of made a mess of things in life, there is love. There is a bond. No matter what, your family is there to know you and love you, shortcomings and all. I wish I could say that one day I woke up and all doubts and guilt weren’t there. That maybe my hormones balanced out and there was that glowing motherly peace you see on Instagram. That’d be a lie. Even with baby number three, I secretly cried and didn’t even tell my husband for a week about the positive test. Like some how I was robbing the first two of their childhood, which is completely irrational. Those kind of thoughts aren’t helpful. They are not supportive of my vision for our family. In this world of so much hate and hardness, raising kids that love each other and support each other is a beautiful thing. I’m on the other side of the spectrum now. Our little girl is eight, and there were even two more added after her. I will have always loved our first born longest. His siblings have not taken away any of his special-ness. My love for him will be forever tailored just for him, just as theirs is for them. If I had any applicable advice, other than stop getting caught up in those weighty emotions, it would be changing something as simple as your language when talking about baby number two. This can alter your entire perspective. Simply switching ‘this’ or ‘my’ baby to ‘our’ baby in everyday conversation starts building those connections before they even meet. Involve them as much as possible with anything baby related. You are basically the world’s most important team builder. Stop only thinking of jealousy that might happen or sibling rivalry. Those will happen, it’s almost a guarantee. In the grand scheme, lows will not hold a candle to the group tickle fights, nerf battles, the bath tub full of babies, your dinner table bubbling with conversation and countless other memories that your mama heart will forever reflect on. Your home is undoubtedly in for such big changes, that warrants big concerns. But, it would be a huge disservice to yourself if you only got caught up in the worries and not all the eminent joy that will be added to your family. I have not known Adriane quite as long, but we hit it off from the start. I watched her become a mom, and she has done so with such effortless grace. She is the person who will make you freezer meals (when she has her own kids to care for), encourage and support you in all your endeavors, and plan meetups with other moms and kids where she brings lunches for everyone. Yes. She really did that. She knows a thing or two, and while her perspective might be a tad different than mine, it is just as valuable. I am so thankful she was willing to share with us all. When you have three children -- each 15 months apart -- you have certain worries. Sometimes they're sweet concerns, like whether you'll bond with your second child when you are so close with your first. Or you fret over whether there will be enough love to go around. Or you spend nights rolling your very pregnant belly around in bed, wondering how the first child will react to the new baby and if he'll feel neglected. And sometimes you don't worry about those things at all. I didn't have those concerns. Realistically, I figured the kids could sort their own issues out with each other, preferably in their college years when they got old enough to start making fun of us as parents. Girl, I was worried about something far bigger and more important than sibling love and a toddler's sustained mental well being. HOW DO I GO GROCERY SHOPPING WITH TWO SMALL CHILDREN? For real though. How do I get two kids in and out of the Aldi cart while trying to pay and bag my own groceries? How do I keep the toddler from running out into the Walmart parking lot while I'm getting the baby's cart seat out? What happens if I ever have to go to church by myself and try to wrangle both of them at once? But let me tell you: Regardless of what your worry is, you just figure it out. Because no one else can do it for you. No one else can help your toddler realize that he is 100% loved whether he has one sibling or ten. And no one else can reassure you that you may have to catch your toddler by the hood when she starts to take off without your permission when you're out and about, but that you will in fact catch her. So here's what you do: You just go do the thing that worries you. One day, you just load them both up in the van, and you go to Aldi, and you set your expectations really low (No. Like, lower than that. ), and you just make that magic happen. And when you do, you treat yourself to an iced coffee at McDonald's on the way home because YOU DID IT. Or you go to the hospital, and you have that baby, and you come home and love your baby every bit as much as your toddler who now appears to be roughly 32 years old when compared to her little brother. This is motherhood, ladies. We just do it. We lean in, and we figure it out, and we don't melt down (until the day is over and we can sniffle on our husbands shoulder from time to time), because we are moms and this is what we were made to do, and WE ARE DOING IT. So you worry about your kids loving each other. I worry about which one I'm supposed to pick up first when they're all crying at the same time. And we figure it out. And we keep going. And that is what we do. Stay tuned for another roundup post coming later this week. I am so thankful for this community of mothers encouraging each other in solidarity. The feelings that come with motherhood are big and sometimes hard to navigate, so it is such a blessing to have those more seasoned than ourselves to share their wisdom. Thank you, Whitney and Adriane! 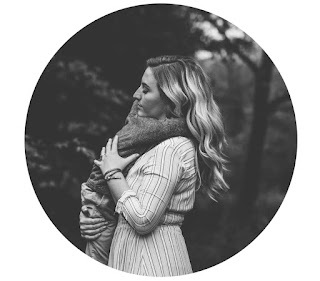 I am a stay at home mom and blogger working to build a community of women supporting and encouraging other women while striving to live a good and lovely life.